Alexandra residents have begun gathering at the township’s stadium, ahead of their march to the City of Johannesburg’s regional offices in Sandton north of Johannesburg. Residents took to the streets last week protesting over the mushrooming of illegal dwellings in the area and other service delivery failures. Police have been deployed to the area. Community leader Sandile Mavundla says they will bring the city to a standstill. Despite chilly conditions, community leaders are warning that a shutdown in the region will continue if Mayor Herman Mashaba fails to urgently address residents’ concerns. Motorists are advised to be vigilant of road closures in and around Sandton. Rob Byrne gave SABC news channel a traffic update. Meanwhile, the African National Congress Councillors in Alexandra have described the Democratic Alliance’s decision to lay criminal charges against the ANC as a ‘blame game’. The DA laid charges against the ANC on Saturday over its alleged incitement of violence, claiming they are the ones who are fueling the on-going protest in Alexandra, north of Johannesburg. 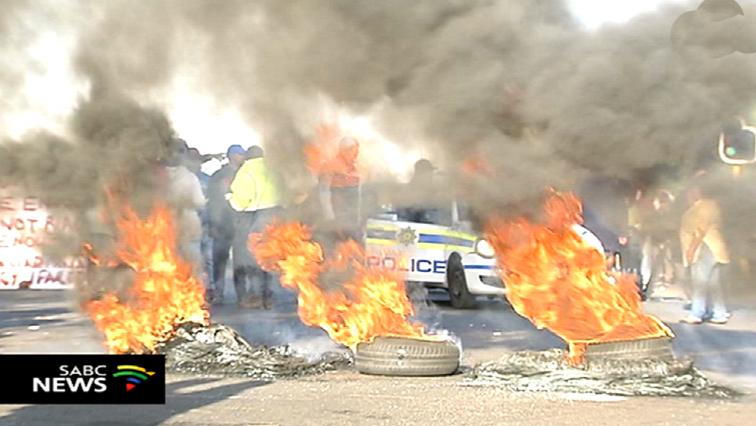 The post Alexandra residents prepare to march towards Sandton appeared first on SABC News – Breaking news, special reports, world, business, sport coverage of all South African current events. Africa's news leader..